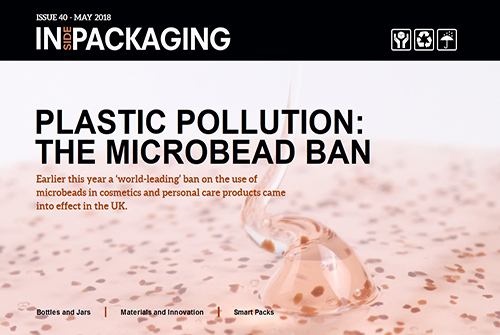 In this issue of Inside Packaging we look at materials and innovation, the microbead ban and much more. 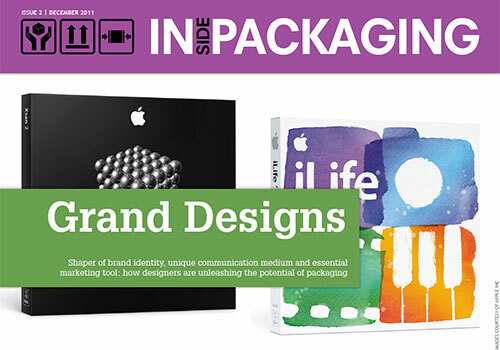 In this issue of Inside Packaging we look at the way packaging design can impact healthcare, innovation within caps and closures and much more. 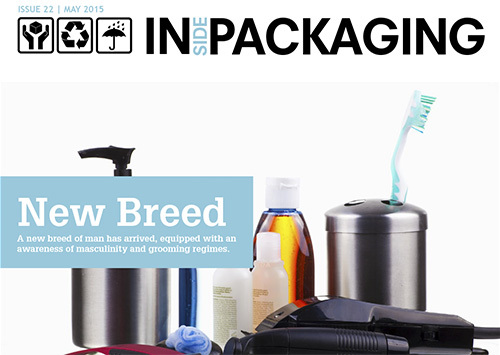 In this issue of Inside Packaging we look at the way brands are tapping into the male grooming market, airless technology and much more. 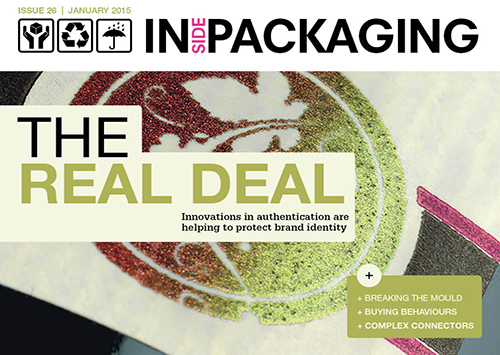 In this issue of Inside Packaging we look at authentication techniques,the industrial revolution and much more. 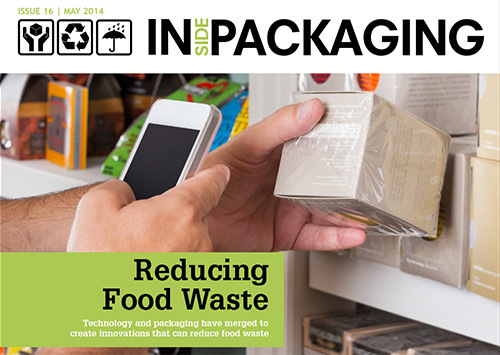 In this issue of Inside Packaging we look at recycling rates, food waste and the link between packaging and much more. 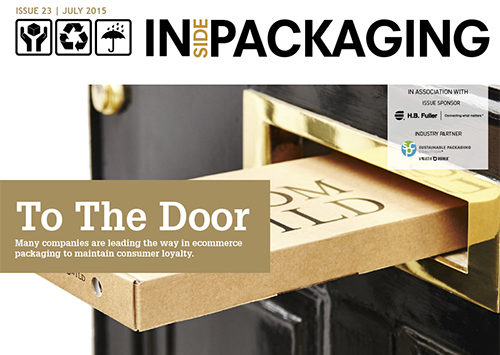 In this issue of Inside Packaging we look at paper solutions, the ecommerce landscape and much more. 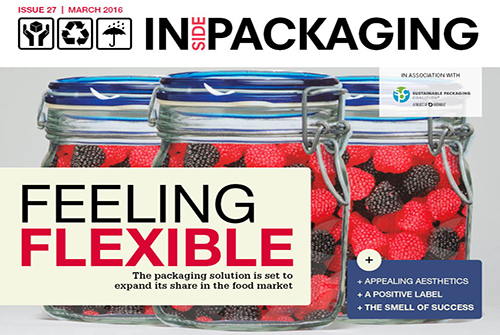 In this issue of Inside Packaging we look at clean labels, flexible solutions and much more. 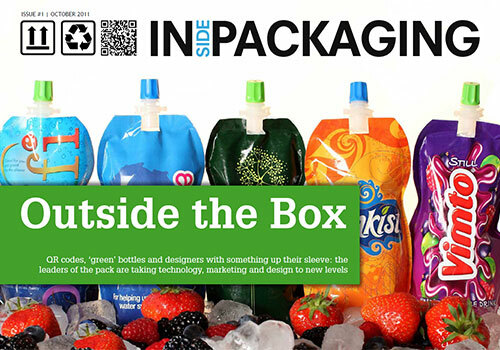 In the latest issue of Inside Packaging we look at track and trace technology, smart solutions and much more. 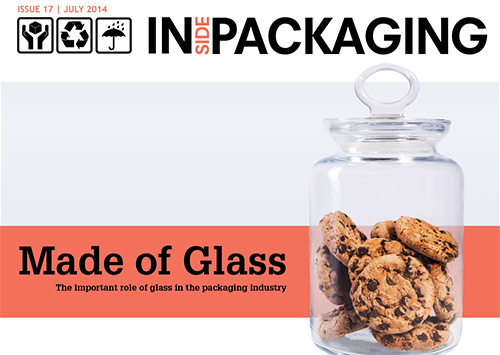 In the latest issue of Inside Packaging we look at holographic films, 3D paper and much more. 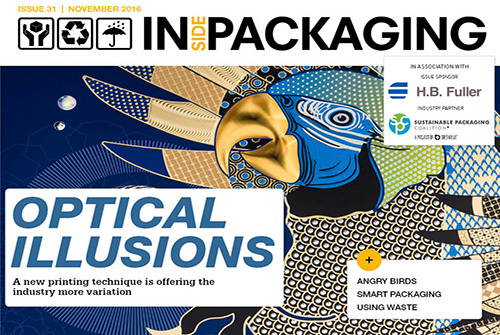 In the latest issue of Inside Packaging we look at optical illusion printing, anti-seagull food packaging and how supermarkets can reduce waste. 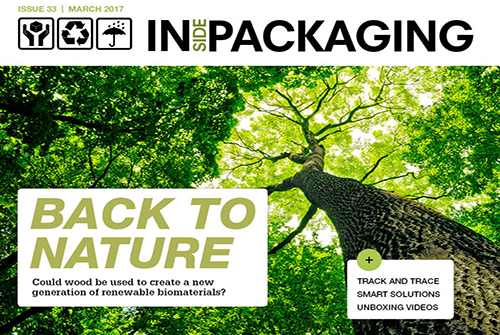 In the latest issue of Inside Packaging we look at limited edition packs, product design and the concept of 'precycling'. 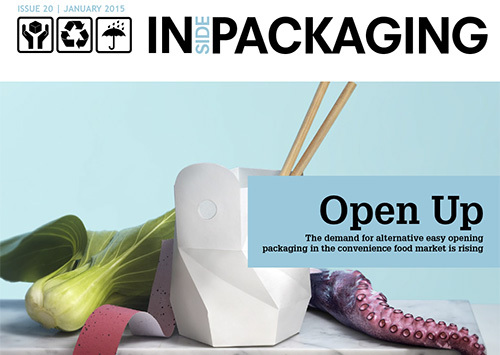 In the latest issue we take a look at companies switching to mushroom-based packaging, explore how the travel retail market is influencing design considerations and learn more about the zero-waste movement. 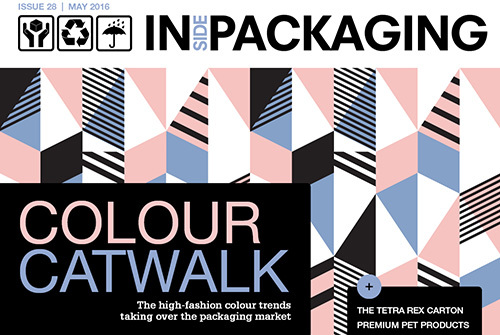 In the latest issue we round up the best ideas from Packaging Innovations 2016, look at how colour influences buying decisions and much more. 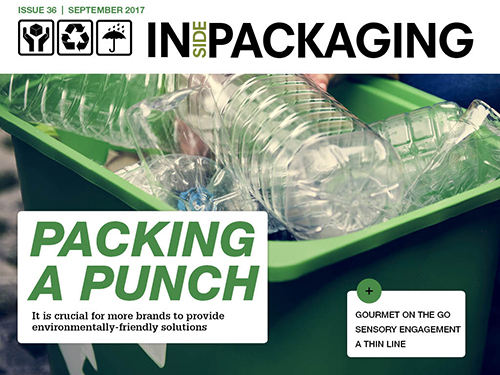 In the latest issue of Inside Packaging we find out more about the invention of bubble wrap, look at flexible packaging solutions and much more. 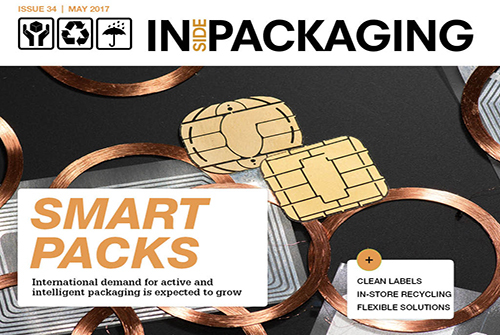 In the latest issue of Inside Packaging we look at authentication innovations, adhesive solutions, caps and closures advancements and much more. 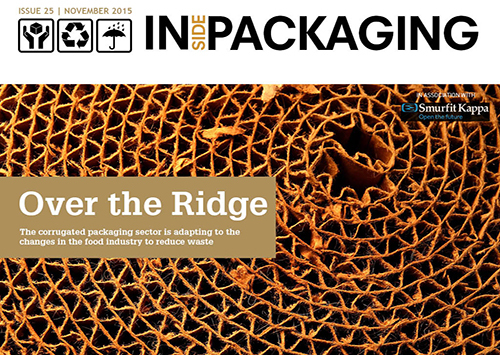 In the latest issue of Inside Packaging we look at the corrugated packaging sector, find out how companies can connect to older consumers and much more. 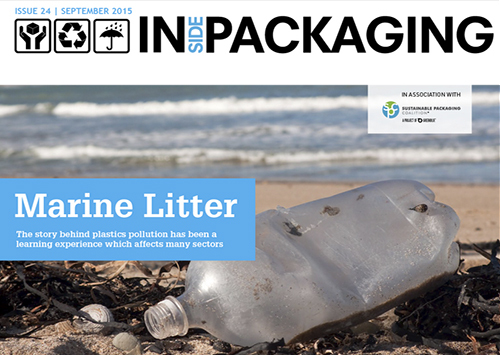 In the latest issue of Inside Packaging we look at marine pollution and how it affects the industry, speak to Equator Design and much more. 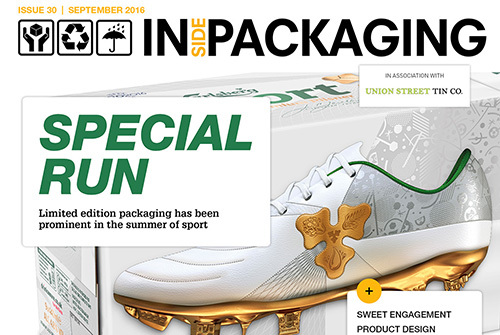 In the latest issue of Inside Packaging we discover the latest innovations in ecommerce packaging, look at how personalised packaging is developing in the home, profile South London design agency Sedley Place and much more. 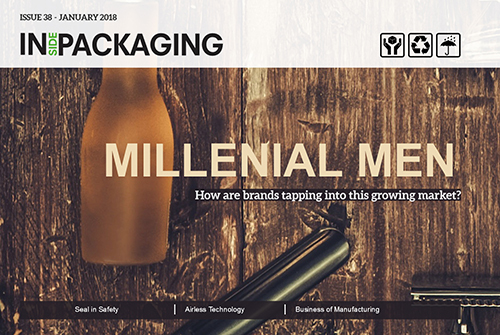 In the latest issue of Inside Packaging we discover how savvy marketing and packaging design can reel in the male target market, find out more about digital glass printing, discover how the right packaging can enhance the benefits of functional drinks and much more. 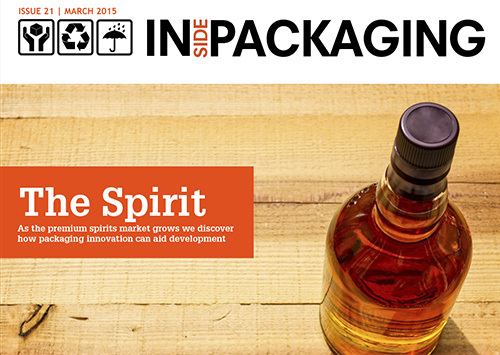 In the latest issue of Inside Packaging we discover how packaging innovation can aid the premium spirits market, investigate new ways to market brands to health conscious consumers and much more. 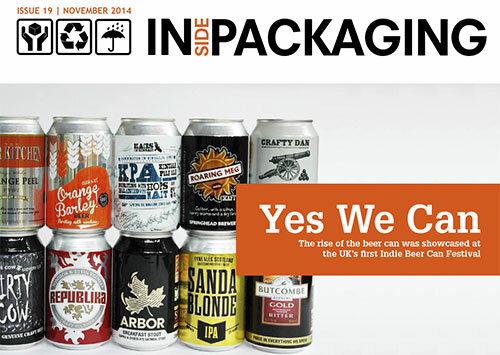 In the latest issue of Inside Packaging we profile the rise of the beer can, take a look at the emerging African packaging industry, discover how a new antimicrobial technology can aid the UK poultry industry and their fight against bacteria, and much more. 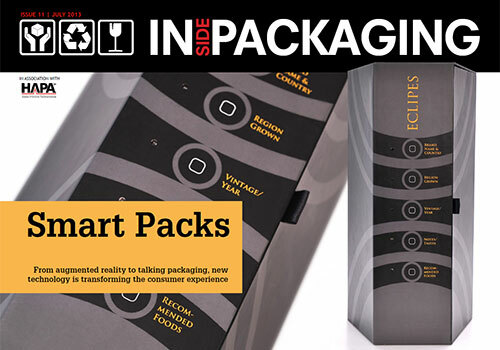 In the latest issue of Inside Packaging we look at laser labeling technology, current beer trends, innovative new cup holding solutions and much more. 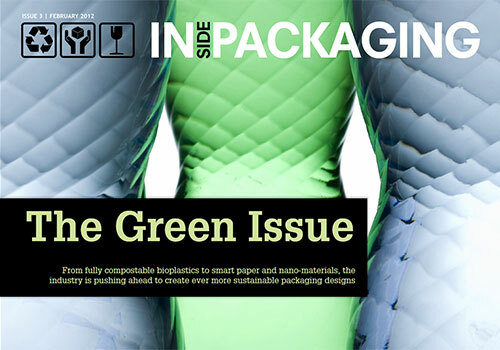 In the latest issue of Inside Packaging we take a look at the key trends for 2015, investigate the future of digital printing, look at new disposable packaging for on the move eating, profile a new bioplastic developed using shrimp shells, ask how effective the plain packaging policy for cigarette packaging has been and, finally, we speak to leaders in the glass industry about how glass can be utilised in the fight against food waste. 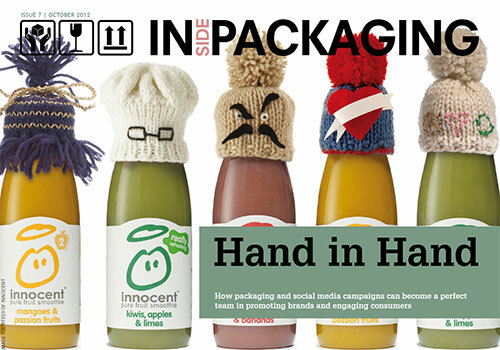 In the latest issue of Inside Packaging we discuss the time for order trend, profile the 'touch and slide' pump, take a look at a new self-expiring medical packaging, ask how 3D technology can be used in the packaging industry, profile the various packaging innovations that aim to minimise food waste and look at the technology that is revolutionising the way products are packed for transport. 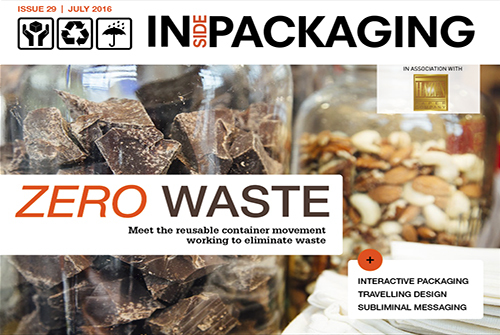 The latest issue of Inside Packaging is all about creative sustainability. 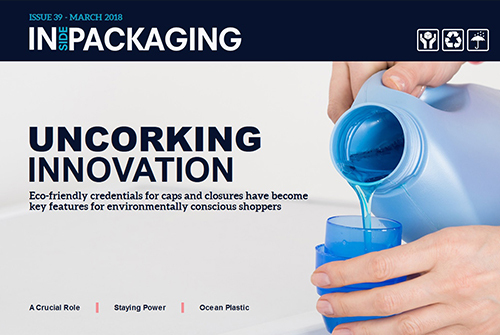 We look ahead to 2015 to give you the key design trends, investigate the recycling obstacles brands face, analyse the evolution of beauty packaging, track the success of gluten products, learn about a new way to drink wine and find out what is holding sustainable solutions back. 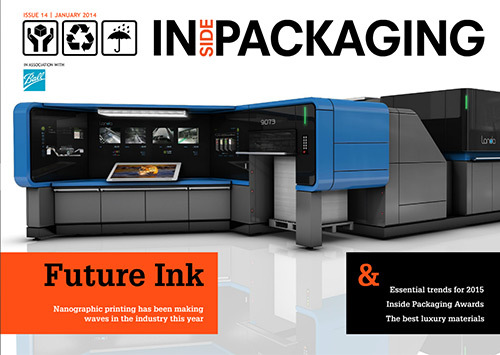 Future Ink: Nanographic printing has been making waves in the industry this year. 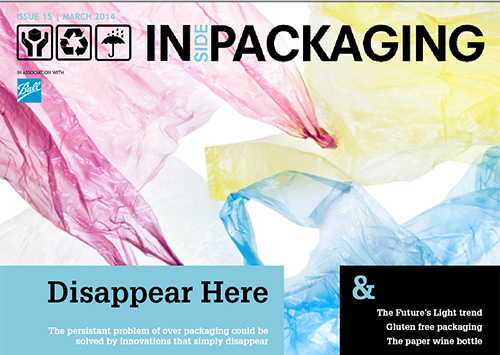 We also look at essential trends for 2015, Inside Packaging awards, the best luxury materials and more. Click to view in Zmags. 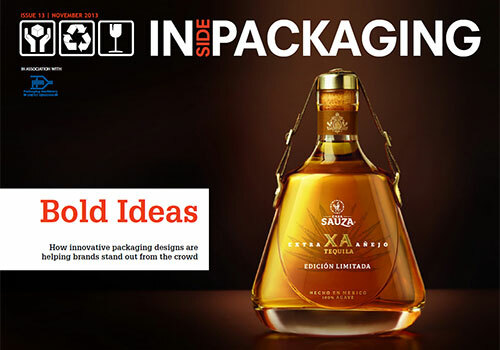 Bold Ideas: How innovative packaging designs are helping brands stand out from the crowd. 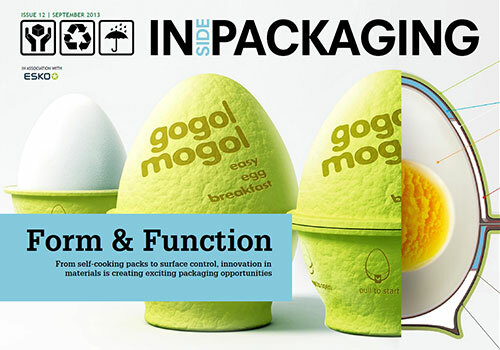 Form & Function: From self-cooking packs to surface control, innovation in materials is creating exciting packaging opportunities. 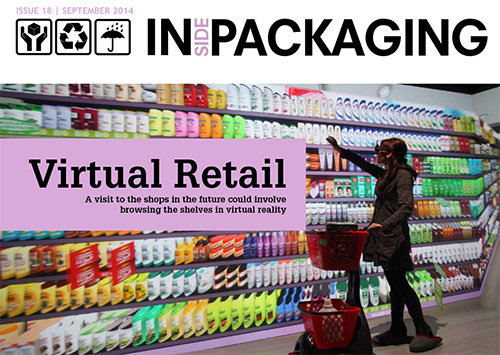 Smart Packs: From augmented reality to talking packaging, new technology is transforming the consumer experience. 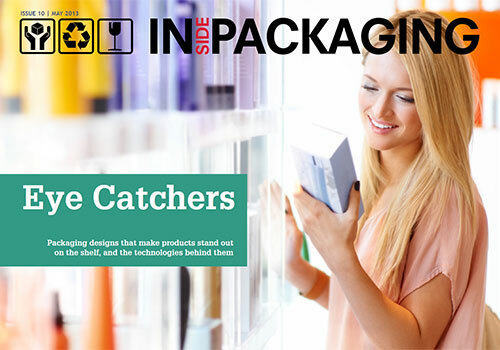 Eye Catchers: Packaging designs that make products stand out on the shelf, and the technologies behind them. 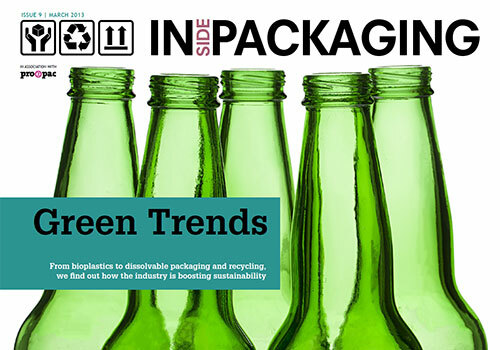 Green Trends: From bioplastics to dissolvable packaging and recycling, we find out how the industry is boosting sustainability. 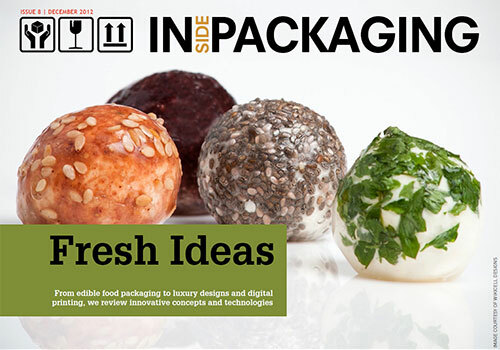 Fresh Ideas: From edible food packaging to luxury designs and digital printing, we review innovative concepts and technologies. Hand in Hand: From design choices to social media integration, we explore they key role of packaging in building a brand and making it a success. 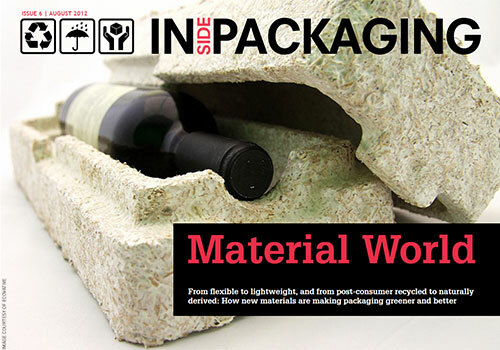 Material World: From flexible to lightweight and from post-consumer recycled to naturally derived; how new materials are making packaging greener and better. 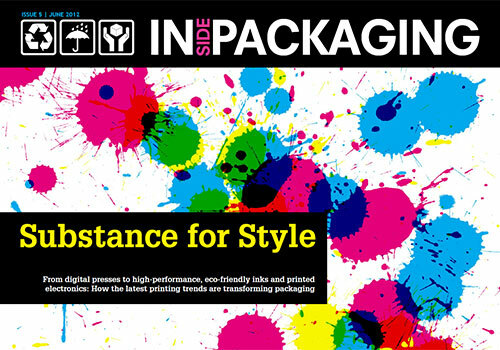 Substance for Style: From digital presses to high-performance, eco-friendly inks and printed electronics, we find out how the latest printing trends are transforming packaging. 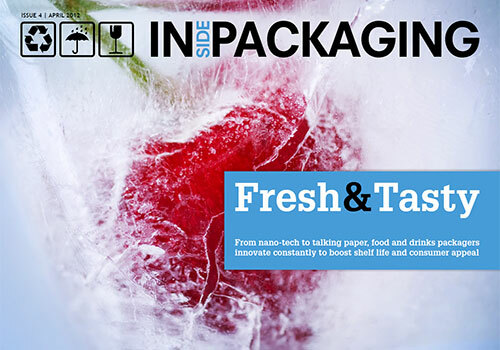 Fresh & Tasty: We explore the latest trends in food and drinks packaging and find how new technologies help to improve shelf life and consumer appeal. 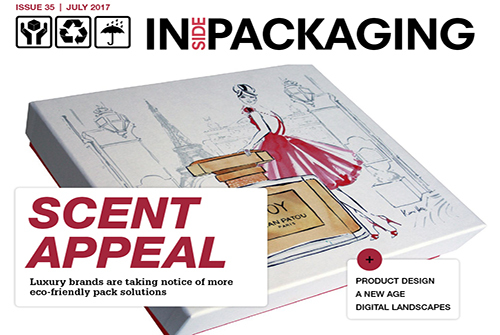 Grand Designs: Shaper of brand identity, unique communication medium and essential marketing tool – we find out how designers are unleashing the potential of packaging. Out of the Box: QR codes, ‘green’ bottles and designers with something up their sleeve; the leaders of the pack are taking technology, marketing and design to new levels. 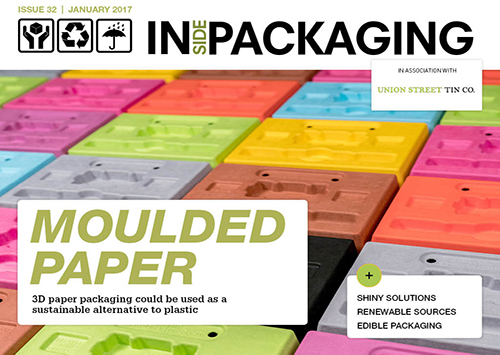 Inside Packaging is a digital magazine offering informative, in-depth coverage of the packaging industry in an exciting, interactive format. 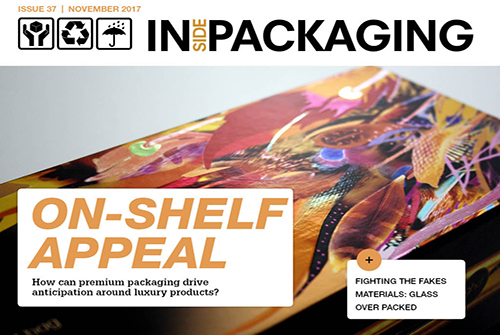 Published bi-monthly and brought to you by an experienced editorial and design team, Inside Packaging is the essential magazine for decision-makers wanting up-to-date packaging industry news and analysis.